Club Penguin Cheats by Mimo777 Club Penguin Cheats by Mimo777: The Rockhoppin' Club Penguin Time Issue #330 is Here! The Rockhoppin' Club Penguin Time Issue #330 is Here! 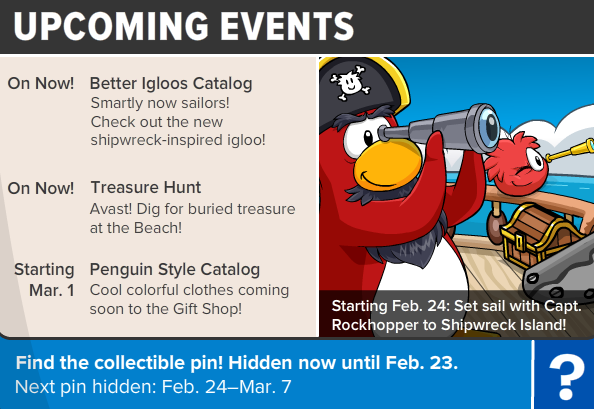 Club Penguin Time Issue #330 is here... and so is news about Rockhopper! And, he needs our help to upgrade the Migrator to prepare for his new Quest! 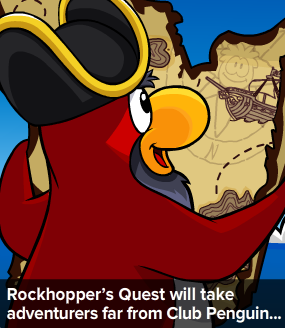 Rockhopper even wants to build a beacon on Shipwreck Island! This new quest will take adventurous penguins to Swashbuckler Trading Post where Members can buy rare items, then to Dinosaur Island where we can get an important treasure and then finally to Shipwreck Island! Whoa! That all sound so cool, doesn't it? 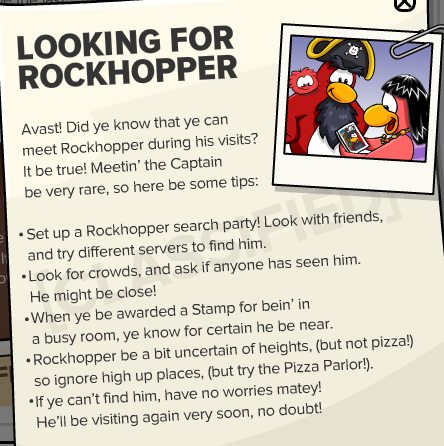 And speaking about cool islands, Rockhopper gives a few details about Rockhopper Island, too! It is tropical, with caves, jungles, and spiky rocks! 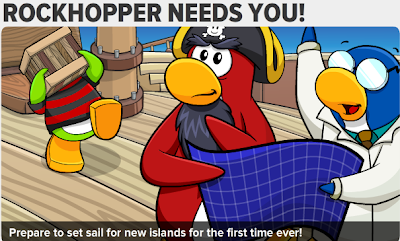 Rockhopper says he has not explored the whole island, but maybe some day we can help him! Woot! This week's secret will help you find Rockhopper around the island!